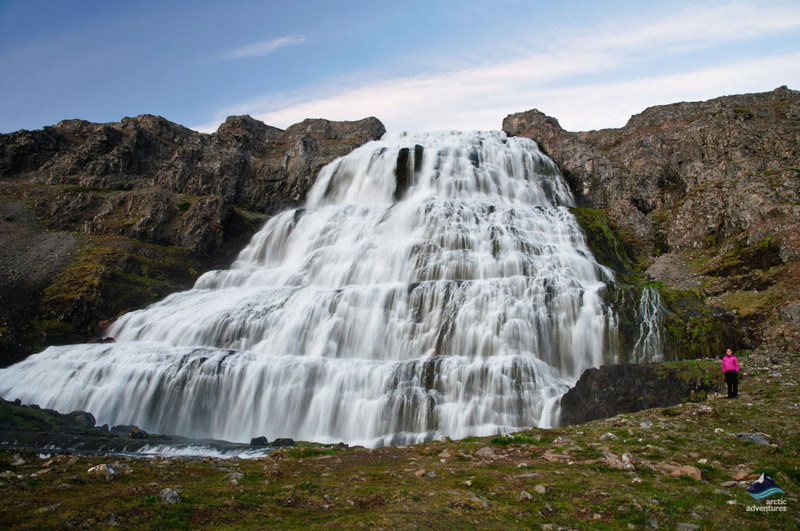 Possibly the most beautiful waterfall in Iceland, if not the most impressive, Mountain Falls is the largest waterfall in the Westfjords region. If you climb to the peak you will be rewarded with stunning panoramic views of the fjord below. ‘Fjallfoss’ is so big, it is possible to see the waterfall from many miles away and it stands out so much, you can even see it on the other side of the fjord! Take your time, pack a picnic and tackle the path to the top. The view will make the hike worthwhile. How do I get to Dynjandi? What does the name ‘Dynjandi’ mean? What is Dynjandi like in Winter? ‘Mountain Falls’, ‘Fjallfoss’ or ‘Dynjandi waterfall’ is actually made up of a series of 7 different waterfalls, measuring 100 meters tall, 60 meters wide at the base and 30 meters wide at the top. On your way to the top, it is possible to walk behind ‘Gongufoss’ one of the waterfalls. All of the 7 waterfalls can be seen from the shore and the moor around it is great for photographing, hiking and camping, in the summer season. The original source can be traced to the upland from the river Dynjandisá. From the top, the water can be followed to the waterfall and to other lakes and rivers. All of the waterfalls in Dynjandi come from the Lake Stóra-Eyjavatn, which currently measures at 350 meters above sea level. Dynjandisá river is a runoff river which has been known to suffer from seasonal floods in the springtime and in the winter, where the river volume can increase up to 10 times its resting state. Dynjandi is situated between Dynjandisvogur bay and Arnarfjörður Fjord, approximately 85 km away from the port town of Ísafjörður. Expect a scenic, but winding route on your way there. Definitely not on the ring road and not recommended for self-drive tourists in winter seasons, it has to be said! Dynjandi is off the beaten track, in the remote Westfjords region of Iceland. 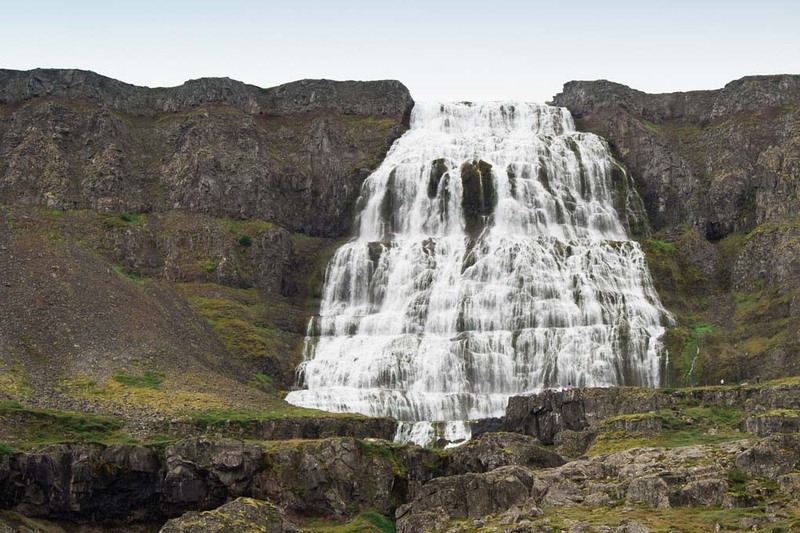 If you are in the area, Dynjandi is not to be missed if you want to witness what may be the most beautiful waterfall in Iceland. That said, the waterfall is in a very rural location, so don’t expect mass tourism and fancy facilities! A mostly-empty parking lot and a toilet block is all you will get! Drive. And keep driving. Part of the adventure is the road trip through Westfjords. From Brjánslækur to Dynjandi the 40 km drive is only around 50 minutes, while the drive from Ísafjörður is slightly longer, taking about an hour and a half (85 km) via Vestfjarðarvegur and Vestfjarðavegur. Unfortunately, if you hate driving and you’re in the capital, Dynjandi is approximately 355 km from Reykjavík, which takes about 5 hours via Vestfjarðavegur. 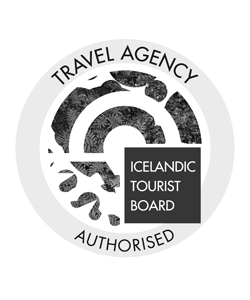 Alternatively, you could drive for 2 hours to Stykkishólmur, on the Snæfellsnes peninsula, which is around 165 km and then take a 3-hour ferry ride to Brjánslækur, which is in the Westfjords, then do the 50-minute drive above. 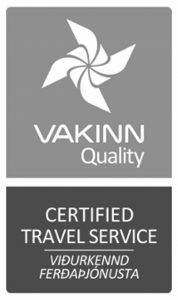 However, we recommend the most common ways, which are driving the entire route or taking a domestic flight to Westfjords airport and renting a car for the rest of the way. Plans for ‘Dýrafjarðargöng’ a 5.6 km tunnel connecting Arnarfjörður to ‘Dýrafjörður’ the next fjord over, and Þingeyri village is expected to be completed in 2020. Not really. To properly appreciate Dynjandi, there’s a relatively short but steep hike to the top – a combination of steps and slopes, totaling around 15 minutes if you do it in one. We recommend splitting it up into stages, which is a welcoming opportunity to admire all of the smaller waterfalls you will see on your way up. Each of the waterfalls is beautiful in their own right, but the further up you go, the better! To get to the peak is a bit of a climb, but well worth it for the scenic panoramic at the top! Dynjandi translates to ‘thunderous’ or ‘booming’ which is an understatement when you look at the size and listen to the sound of it! Dynjandi is the name of an abandoned farm below the waterfall. 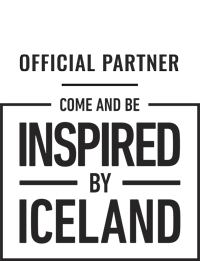 Most accommodation choices require a commute to get to the waterfall, so unless you are going as part of an organized tour, hiring a sturdy rental car is highly recommended. Park in the car park – the waterfall is easily accessible if you stop here and not on the road. 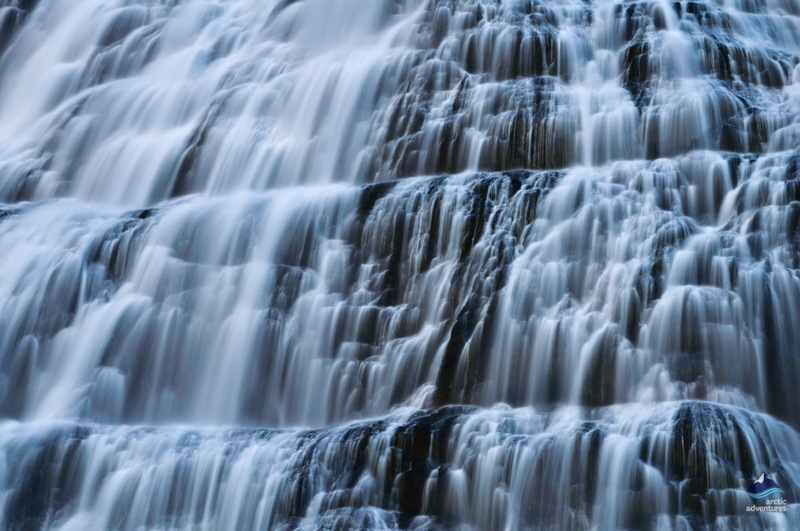 Don’t go too close to the waterfall’s drop, there are no guard rails – so be sensible! Stay on the paths, it’s there for a reason! Dress accordingly. It can get pretty cold close to the waterfall because of the spray. Waterproof clothing is recommended for those planning to get near the action. Keep to the marked paths when hiking. Don’t go thinking there are shortcuts! If you are traveling in winter make sure you have shoes with sturdy soles or ice spikes if it’s slippery or icy. Dynjandi isn’t quite the same once it’s frozen over. The waterfall is fairly easy to find in the summer, but it is best to avoid driving anywhere near there when it’s cold out. It’s quite a challenge to access Dynjandi in the winter as the Westfjords are usually only accessible in the summer months, from May to October. Many roads in the Westfjords will be closed due to deep snow or avalanches, so it may be dangerous and slippery. 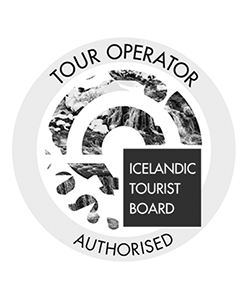 The mountain roads in Dynjandisheiði and Hrafnseyrarheiði are closed throughout the winter and when traveling through the season it is necessary to travel in an appropriate 4X4 vehicle with reliable winter tires. 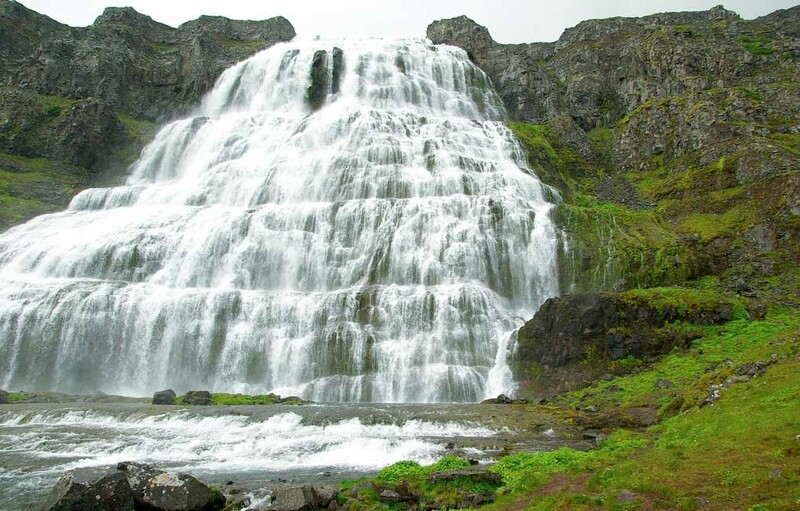 Dynjandi waterfall and the rest of Westfjord, in general, are quite isolated, but for history buffs – around the base of the fall you can still find the remnants of an old turf house farm, the ‘Bæjarhóll’ – or ‘Farm Mound’ and the ruins of what is left of a couple outbuildings. If you just so happen to be into your monsters, we can also highly recommend checking out the nearby Bíldudalur village, where you can visit the Sea Monster Museum. Alternatively, if more conventional museums and history are more your things, then there’s the Jón Sigurðsson Museum which is free and not too far away. The museum is dedicated to Jón Sigurðsson, the independence leader, as well as Icelandic history, consisting of a museum, traditional Icelandic house, and a church.